THE NewsMail's Facebook likers have voted the Guide Dogs as the region's top op shop. 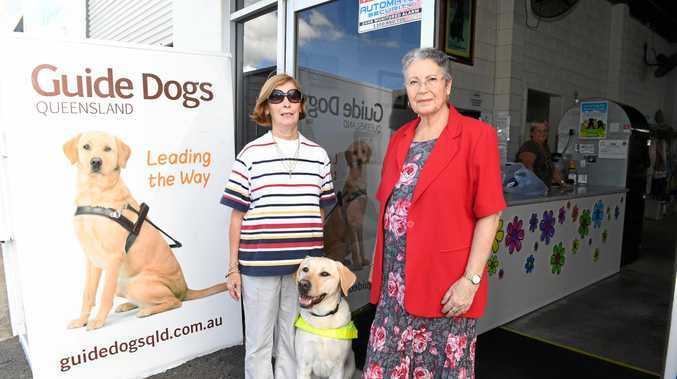 The Bundaberg store has been operating and supporting Guide Dogs Queensland for more than 20 years. Manager Nerida Hepple said everyone involved in the shop was ecstatic to be recognised as a local favourite. "It's lovely to see that our store is so well loved by members of the community because at the end of the day we could not run the shop without the kind support of the locals who donate items and shop here,” Ms Hepple said. "The wonderful support we receive from Bundaberg locals truly makes a big difference, as all of the funds raised through the store go towards changing the lives of Queenslanders who are blind or vision impaired. Ms Hepple said the vote was testament to the hard work of the store's more than 30 volunteers. Tina Ricca was a customer at the op shop but has been volunteering there for five years. Ms Ricca said the beauty of op shop was "you can spend so little and still look like a million bucks”. Helen Willett has had her Guide Dog, Hank, since 2015 and said having him had given her the independence and confidence to go about her day-to-day life. "I trust him with my life,” she said. Ms Willett said all donations to Guide Dogs Queensland were greatly appreciated as it cost more than $30,000 to train a Guide Dog. The McLean St shop is open weekdays from 8.30am-4pm and Saturday 8.30am-noon.